The parent company of PokerStars, Rational Entertainment Enterprises Limited (REEL), has agreed to drop its claims for damages and legal expenses against high-profile poker pro Gordon Vayo in exchange for Vayo amending his own earlier dismissal of a lawsuit for nearly $700,000 against REEL. The joint motion, filed by both sides on December 4 in the US District Court for the Central District of California, precludes Vayo from refiling the same type of claim against PokerStars, and likely represents one of the final official actions in the case. Vayo filed his initial claim against PokerStars and REEL in early May of 2018, following Vayo’s failure to force PokerStars to unfreeze more than $690,000 in tourney winnings then claimed by Vayo. 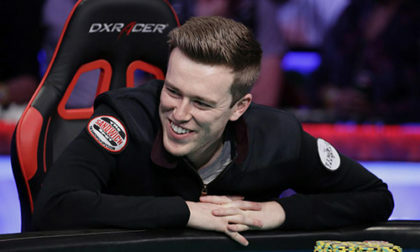 The winnings came from a May 2017 SCOOP (Spring Championship of Online Poker) prelim event on Stars, but the nearly-$700,000 was frozen a few weeks later after an investigation uncovered evidence of Vayo having used a VPN (virtual private network) to play illicitly from the United States. Vayo hired an attorney who made repeated legal threats of action against PokerStars over the frozen funds, with that action finally being filed in May. That lawsuit also included a claim for trebled damages against PokerStars, which when combined with other claimed damages and expenses could have shoved Stars’ total exposure in the matter to nearly $3 million. As part of its initial investigation, as typically happens with winners and high finishers in major events, PokerStars asked for proof of Vayo’s residency in Canada while playing the SCOOP event, as Vayo was an is an American citizen who currently resides in California. Vayo indeed submitted bank and utility statements purporting to show his presence in Canada. However, in a stunning development, PokerStars received a tip from an undisclosed person close to the situation that Vayo’s financial statements were crafted forgeries. PokerStars was even able to obtain the initial, unaltered versions of the bank and utility statements Vayo submitted: A debit card frequently used by Vayo showed his real presence in California during the SCOOP event, while the utility bill submitted came from a Canadian resident, which had had Vayo’s name inserted as the accountholder. REEL’s California-based lawyer in the matter, Claude M. Stern, quickly notified Vayo’s initial attorney, Gregory Fayer, of the discovery that the initial statements were forged; that development carried its own intriguing sideline, in the refusal of Fayer, on Vayo’s behalf, to allow those initial bank and utility statements to be formally introduced as evidence in the case. Fayer quickly resigned from representing Vayo after the forgeries’ discovery, though he initially dismissed Vayo’s lawsuit without dismissal, allowing for the possibility of a refiling. The how and why of that has not been disclosed, but the amended dismissal offered by Vayo in this latest filing closes that door. It’s worth noting that PokerStars had made the offer to drop its own potential claims for damages immediately upon the discovery of the forgeries, and only filed its countering claims after Vayo’s initial action was dropped without, instead of with, prejudice. Giving that PokerStars would almost certainly have prevailed in a claim for damages, this can best be seen as a goodwill move by the site, even though it’s unlikely that Vayo (as a known entity) ever will be allowed to play on the site again. PokerStars has just secured its formal re-entry into a second US state’s online-poker market, in Pennsylvania, and given its difficult process moving forward in other US states, it may just have been viewed as a matter better left dropped. A small slice of online players have continued to attempt to paint Stars as the bad actor, based on some prior-years controversies, though in this matter the presumed fraud and forgery attempted by Vayo simply cannot be tolerated. As it is, though PokerStars may not be involved, Vayo could still face other legal difficulties. California’s authorities could conceivably pursue criminal charges against the 30-year-old pro, given the high-profile nature of the story. On the flip side, American authorities have shown precious little interest in the past in pursuing crimes committed by player-customers against offshore online-poker sites.